This entry was posted on August 4, 2014 by thatpartychick. 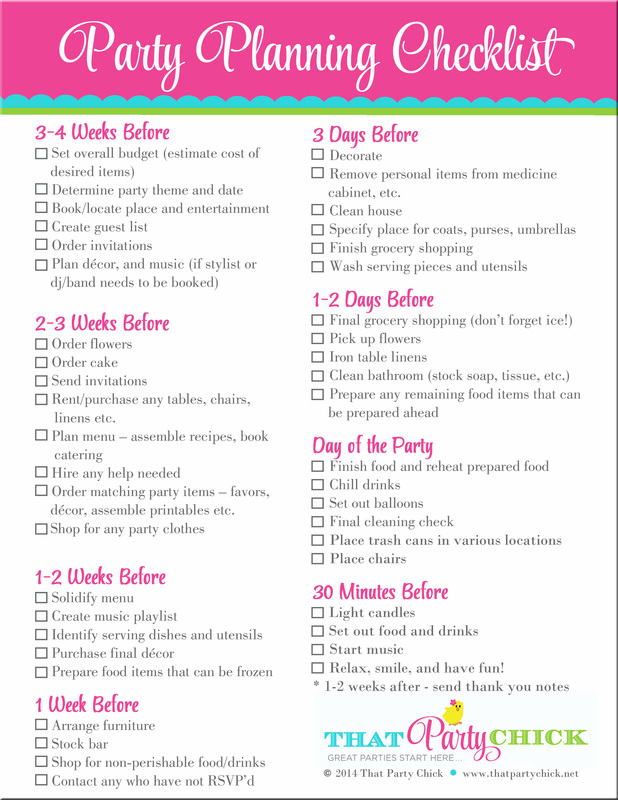 Whether you are throwing a birthday party, baby shower, bridal tea or any party, this checklist will help you stay organized and get it all done! I truly believe that the more you can do ahead of time, the more you you will enjoy the party with your guests. I love my email from That Party Chick!! !